The spiritual rewards and intellectual challenges of Eastern Philosophy are revealed in this visually stunning book, illustrated by Joe Lee and with 19th Century engravings. Eastern Philosophy is not an intellectual pursuit, but one that involves one�s entire being. Much of it is so deeply entwined with the non-intellectual art of meditation, that the two are impossible to separate. In this accessible survey of the major philosophies of India, China, Tibet, and Japan, Jim Powell draws upon his knowledge of Sanskrit and Chinese, as well as decades of meditation. Whether tackling Buddha, Confucius, Lao Tzu, Dogen, the Dali Lama or Pantajal � Powell�s insights are deeply illuminating. 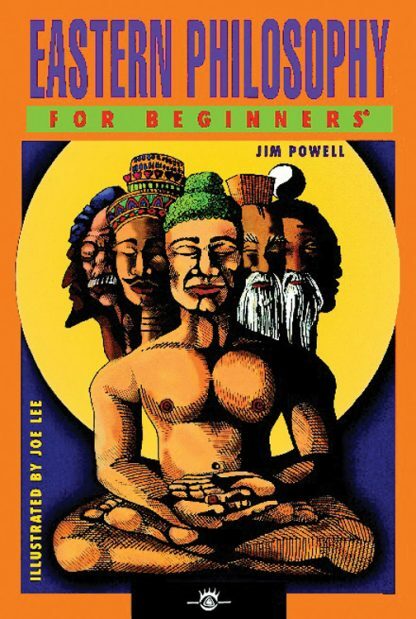 All the major philosophies of India, China, Tibet and Japan are explained and everyone � from beginner to expert � will find Eastern Philosophy For Beginners a beautiful and insightful overview.